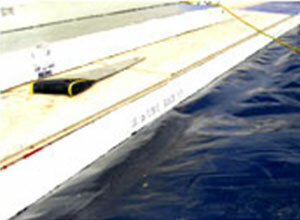 What is the best flat roof repair system? 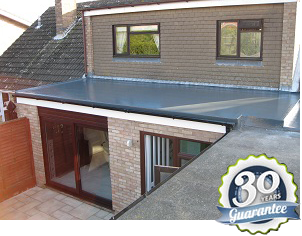 Our three proven flat roofing systems are all equipped with lengthy guarantees and they all deliver an exceptional finish, however, there are unique features that are important to understand. 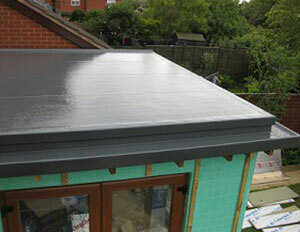 GRP/Fibreglass roofing solutions are ideally suited to roofs with protrusions, such as skylights, whilst a non-slip finish can be applied for balconies, terraces and walkways. 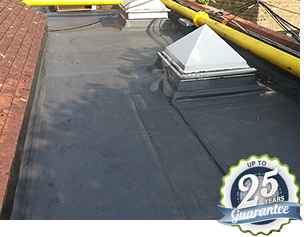 Having been providing flat roofing in Leamington Spa for many years, we’ve installed fibreglass flat roofs for many commercial and residential customers, whilst our Single Ply roofing solution is another popular alternative. 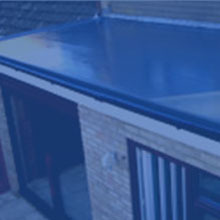 This membrane is one of the most widely used flat roofing material in the new build commercial sector today, and it has only recently become more available to the domestic and refurbishment market. 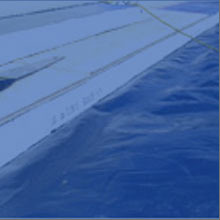 Finally, our Kemper Waterproofing System has grown in popularity, and it’s very much an all rounder, whilst it’s our preferred solution for most scenarios. 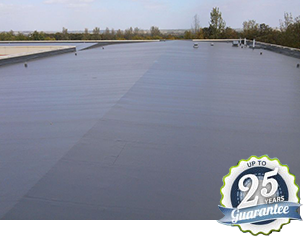 With an exceptionally strong, tear resistant polyester fleece, it creates a tough, seamless membrane that bonds to almost all substrates, whilst it’s ideally suited to a diverse range of applications, including flat roofs, garages, balconies, terraces and walkways through to car parks. 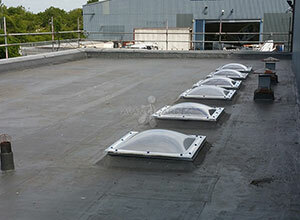 Do you need domestic or commercial flat roofing in Leamington Spa? 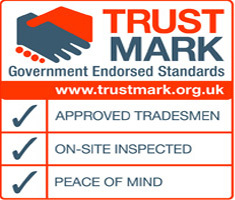 Having delivered beautiful, functionality and affordable solutions to homeowners and businesses, there is no project to large, small or complicated for our talented team. 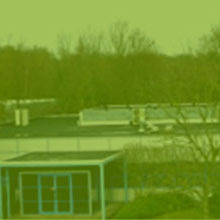 Whether you’re looking to repair your garage roof, modernise your factory or install the perfect flat roofing membrane for your school, we can exceed your expectations. 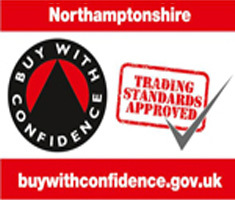 We can offer up to 30-year guarantees, whilst our no obligation quotations are completely free! 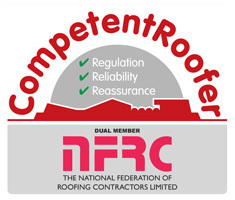 If you’d like to learn more about our solutions and eliminate the common problems associated with traditional flat roof materials such as a lack of flexibility or failing joints, we’d love to hear from you. 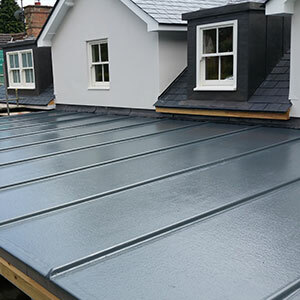 In addition to providing flat roofing in Leamington Spa, we can also provide guttering installations and repairs, as well as energy insulation and green roofing. 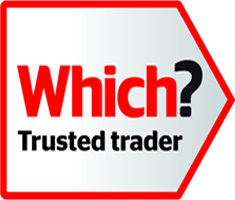 You can view our commercial and domestic projects to see the results we’ve achieved for customers in the past, whilst we’re also recommended by 100% of customers on our Which Trusted Traders page. 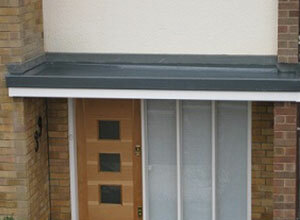 Fancy a chat about your flat roofing project in Leamington, or simply need some unbiased, honest advice? Please do not hesitate to call Avant Garde Roofing Solutions today on 0800 456 1104 or drop us an email at info@avant-garde-roofing.co.uk. 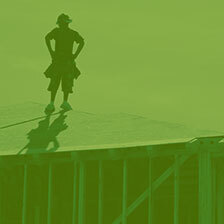 We’re open weekdays 8am until 8pm.